My parents came from Poland just before Martial Law was enacted in 1981. My mom had been working at the university in Krakow where she had earned a Master’s degree in Chemical Engineering with a focus on Ceramics. Ironically, this was largely thanks to the communist system, where she, coming from a village born to peasant parents, was able to be admitted to university– free for those who passed the rigorous entrance exams. Because she was at the top of her class, she was also able to receive stipends to help defray the costs of living away from home. My dad had finished an engineering degree in Metallurgy, but was working at a gas station before they left. They came to the US separately. My mom, as a member of the Solidarity Movement, thinks they were glad to see her go, so they didn’t question her invitation letter to see family in the US. She hid her university diploma, which she would need to start a new life, in a sealed stationary package, knowing full well that she would be denied exit if it was found. 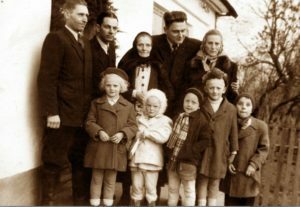 My dad escaped through Austria, where he was granted immigration status to enter the US. They met up in the Bronx, where they were married, and my mom tailored dresses for income. They were robbed several times, though they each only had a suitcase to their name when they arrived. Their friend was mugged and killed in the area, and the last time their apartment was robbed they found their biggest kitchen knife at the bottom of the stairs, which the police said would have been used against them if they had come home while the robbers were still at work. This motivated them to leave– so after saving up they bought an old Volvo and drove to Houston, where the Polish community was tight-knit and prospering. When they arrived, the economy began to decline. After settling in, my mom found out she was pregnant, which was met with mixed feelings. They were working at Fox Photo developing pictures for minimum wage. They had omitted their college degrees on the job application so they wouldn’t be deemed overqualified. My mom only had a week off from work after giving birth, and had to return to the night shift to not lose her job. At the time, she was taking free English classes at a community center in Albuquerque, where she befriended a Vietnamese woman named Tuyet. This friend and her husband picked us up at the airport after a visit to see my mother’s cousin in Ohio, where she was seeking legal advice for her divorce. Unknowingly, they drove us to the shelter where we were staying back in New Mexico, unaware that we didn’t have housing at the time. As they waited and watched us eventually go to the shelter, they realized the difficult situation we were in. They tried for a week to get in touch, but the shelter, true to its policies, refused any information either way. When I got sick, my mom called to ask for a pediatrician referral, and Tuyet demanded we pack our bags and immediately came to get us. They insisted we stay with them. Her husband, a war veteran, worked at Siemen’s, a telecommunications manufacturer. When he realized my mom had a Master’s degree in engineering, he arranged for an interview and she was hired. We were able to live on our own in New Mexico until a couple of years later when she was laid off. We remained in touch with the family who gave us our first chance at living the “American Dream,” which my mom, driven as she was, did not squander. Thanks to her work experience at Siemens, she was soon hired as a production engineer at Compaq Computers in Houston, and we relocated. It was around this time that we made our first trip to Poland together, as the borders opened in 1989. Until then, all communication had taken place through letters, which were sometimes censored. It was through this visit and future ones that she would keep close relations with our family there, so that I was raised feeling part of a close knit family– our closest relations, that just happened to be an ocean away. She was able to move up from night shift work to production management positions until Compaq was acquired by HP, and production moved overseas. She learned the ups and down of the American stock market as an employee bystander. 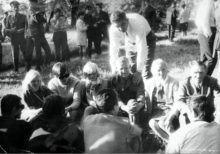 In Houston, she maintained a close connection to the Polish community. She kept me enrolled in Saturday morning Polish school, then a Polish theater group as a teenager. She was active in the Polish Catholic church there, and shehelped manage the finances for the popular Polish Festival in Houston. Thanks to her, Polish continued to be the spoken language in our house despite my push back, and as such, I was raised with one of the greatest gifts you can give a child: bilingualism. While I was in high school, she developed breast cancer, and in an effort to protect me, she largely hid her struggles with chemotherapy from me. The treatment, coupled with a mastectomy and radiation therapy, proved successful, and she overcame the disease, without my having much recollection of it. She helped put me through college at The University of Texas at Austin, despite the fact that she could no longer gain employment in the engineering sector, and had to change professions. With non-native English, and in her fifties, this was a rocky transition. Through the Polish community, she eventually found work managing the finances and personnel of a local business. In college, I took an interest in all things related to Slavic languages and cultures, while earning a business degree alongside, so as to give her hope that she had not struggled as single parent in vain. I maintained my interest in the region throughout graduate school, coupling it with a public policy degree. And thanks to her drive, which provided an example of a successful career woman, and a passion for my cultural upbringing, I am now the Assistant Director and Graduate Program Coordinator for the Center for Russian, East European and Eurasian Studies at UT. 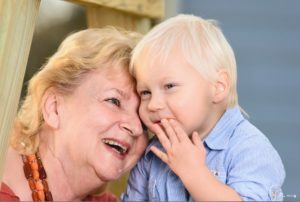 My son, age 4, now attends Polish school on Saturdays through the Austin Polish Society, and communicates in both languages, thanks to all the time spent with his recently retired babcia.